Whether you want your little ones to go to University or not when they are older, it is always best to start saving for the eventuality as early as possible. This is because a three-year course can cost as much as £46,500! You need to start early in part, because it’s easy to save such a large amount slowly over time, and in part because it’s easier to start financially investing now for your child’s future. With that in mind, below you will find a detailed guide to funding your child’s University place by investing in property, or you may wish to put it to use by helping them get their foot on the first rung of the property ladder, whichever they would prefer. Finding £15,500 a year from nowhere is a pretty big ask for most parents of kids that are in University. Yes, they do have student loans available to them, but if you would rather that your offspring didn’t start off their adult life being weighed down by the stress and worry of huge debt, you may want to help them out with these fees. To do this you will need to save roughly £1555 a year from when they are 8, and that will only cover the first year, or you could try investing your money in property to grow it instead. Investing can work really well because many financial experts suggest that you can see at least a 9% increase if you hold your investment over the long term. 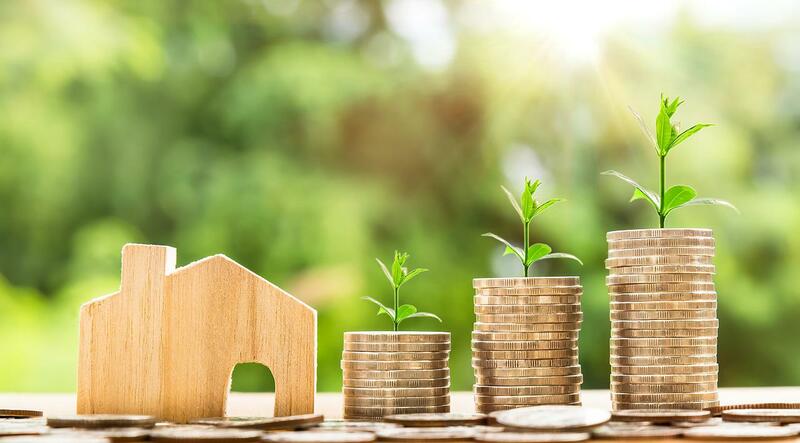 However many folks are baffled by all the different types of property investment and what risks and advantages are associated with each, as well as having no idea about the specific returns they can expect. This guide has been designed especially to help you will all these issues as they present in the property investment world. Investing in domestic property is said to bring around a 10% return in the UK currently. The advantage of investing in this way this is that you will probably have some idea of the legal system for buying them, as well as the way the market has been running the last few years, especially in term so residential properties. The disadvantages of domestic property investment can be that it comes at a much higher price than property abroad. This can be a real problem for a lot of parents with young families as they may already be struggling to pay for their home, without adding the additional financial burden of an investment on top. The risks of investing in domestic property rely very much on the how the market fairs. A slow, cheap market can make it hard to get rid of the property when you want to cash it in to pay for your kid’s University course. Although it can be a good thing when you are initially buying because you can get a better deal, allowing you to make more money at the end. Conversely, a fast and expensive property market can be problematic for those trying to buy with a view to selling and making a profit later on but is a perfect time to sell to gain the best return. Of course, everything is fine if you can hold onto your property until the market shifts in your favour, but as your child will want to go to University at a specific time, you may not have this luxury. Investment returns on overseas properties on average around 5% per year, making them half as profitable as domestic investment. However, statistics do not always present the full picture, and you have to remember that the return you can get will also depend on things like the location of the property and the type that you can buy. Remember too that different countries property sales market will be divergent from our own and that means you may be able to purchase a house or apartment at an advantageous price and hold on to it for the 10 years and then sell it for a larger profit. Something that would definitely be helpful in meeting that University debt. Of course, a disadvantage of investing overseas in property is that you have to understand the system well to stop making a major mistake. Remember that in many places including Singapore they offer BTO or build to offer properties to their residents at a very reasonable price. Unfortunately, those that do not have official status as a resident cannot buy such homes until they have been bought and sold on by someone else. In addition, don’t forget that buying abroad may seem like a great deal. However, you must factor in the cost of someone who can translate all of the legalese that you need to go through to make your purchase, something that can increase the costs. The last aspect of property investment that you need to consider if you want to use it to fund your child’s University place is whether you will buy it to let it out or buy it to sell. Make sure you have long enough for your investment to grow. A critical issue in this needs to be the time you have before they start their course. If they are due to start within the next year, you will, as a rule, need to go for a buy to sell property one that can be renovated and flipped very quickly to make a profit. Although this will cost a lot of money and is still pretty risky. However, there is no point in getting a buy to let property because you will not pay off enough of the mortgage to make any money in that time when you do sell. It can also take a while to sell a place so there will be no guarantees that you can access the money you will need in time. The only except to this rule is if you choose to buy a buy to let property in your child’s University town. This can work very well because they have somewhere they can live rent-free while they are studying. Then you can rent out the other rooms, and they will cover the mortgage, as well as provide some additional income to support your child’s living costs and tuition fees while they are at University. Something that actually makes it a sensible and practical property investment option in this case.